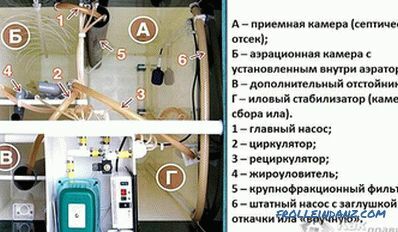 It is not so easy to equip a bathroom and a toilet in the country, as there is often no centralized sewage system there. Classical methods like a cesspit or, even worse, bathing in a basin are unlikely to give pleasure. The stockhole must be cleaned often, and discharge of drains into a nearby ditch is threatened by the appearance of a persistent unpleasant odor. Here come to the aid of septic tanks. For example, the septic tank Yunilos Astra often rescues summer residents and just residents of the private sector. Unlike some other septic tanks, this device does not require human intervention in the cleaning process. 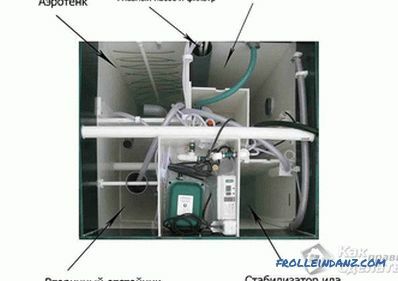 And in general, if you follow all instructions when installing a septic tank Yunilos Astra, then you will need to be serviced only 2-3 times a year, no more. 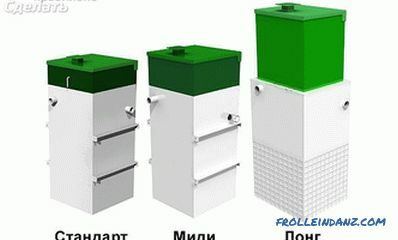 Let's review this septic tank, having studied its structure, advantages, disadvantages. 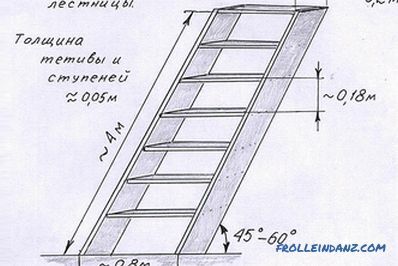 So, why this design is reliable ? Septic tank does not contain mechanical parts and components. 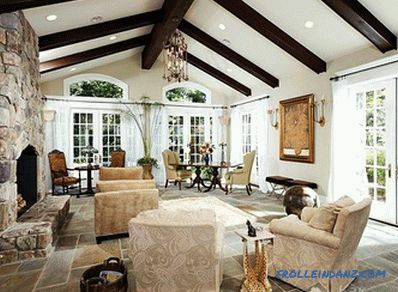 Polypropylene is chemically neutral to the ground and withstands its pressure (walls from 2 cm thick). 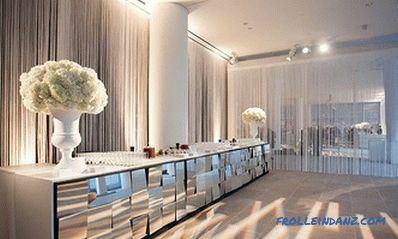 Additional strength is provided by stiffeners and molecular welding, which combines substances with maximum reliability. What is the construction of this septic tank? This is a polypropylene tank with compartments, in which the whole sewage treatment process takes place. 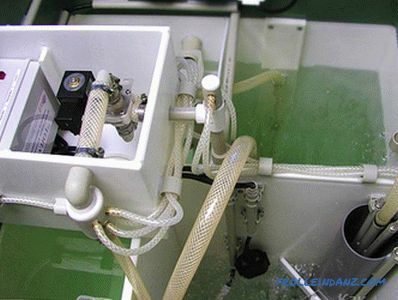 There are only four compartments and they are connected by a system of airlifts - plastic tubes, through which the drains are distilled with the help of compressors. Each of the departments performs a separate function. The first compartment is the receiver, it is there that the sewage treatment process begins. It is a sedimentation tank, where the contents "stand" for some time. In this case, the water brightens, the solid particles are eliminated and go to the sediment. The second compartment is called the aero tank. This is where the key cleaning takes place. Aerobic bacteria that fall outside (most often do not need to buy them additionally) are engaged in this, having fallen into the ideal conditions of the second compartment, they actively proliferate and process wastewater. 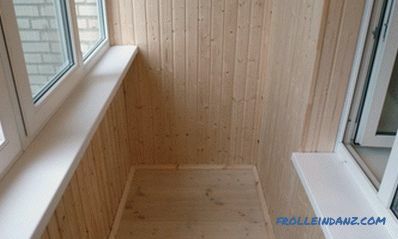 At the same time, the chamber is additionally supplied with oxygen for greater bacterial activity. Nitrates in this compartment are destroyed by the method of intermittent aeration. The third compartment is a secondary settling tank. Here the silt is divided into fresher and older particles. Since fresh sludge is easier - it is sent back to the previous compartment with a septic tank for recycling, heavy sludge goes to the receiver for final storage and subsequent removal manually (a couple of times a year). The fourth, last compartment removes most of the suspended particles and can discharge water to the outside. 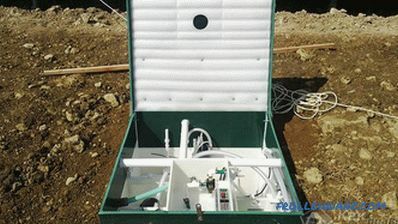 You can connect a pump with which you can use water to irrigate the area. The efficiency of wastewater treatment with this septic tank is 95% or more. Purified water has no extraneous odors, the area around the septic tank also does not spread unpleasant odors. The septic tank can work both the whole year, and in certain seasons. The service life of a septic tank reaches 50 years. Range of septic tanks Unilos Astra is represented by three models that differ in performance - up to 3, 5 or up to 8 people. The size of the structure also depends on the model of the septic tank, because the more people need to be serviced, the larger the size of the tank is needed. Such complex cleaning will allow water to be reused not only for watering the garden or vegetable garden, but also gives the possibility of its use, for example, for filling the pond or in the fountain. 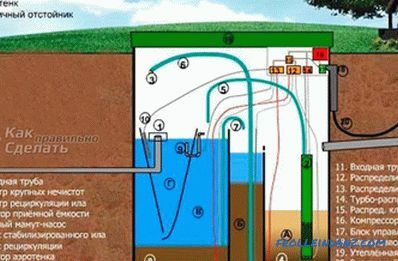 If necessary, the septic tank Yunilos Astra can be equipped with an integrated sewage pumping station (SPS). This may be necessary in the case when the water after cleaning must be removed to another area, away from the septic tank, for example, to a garden bed or to the pond. Despite all the advantages of this septic tank, user reviews rarely indicate on some minor cons of this system.These include the fact that the septic tank is too expensive (but really reliable things can not cost a penny), the septic tank is dependent on the power grid, it is impossible to use it at high temperatures without additional insulation.